When we arrived in Bacalar, Mexico for the first time almost two years ago, we had our rose-colored glasses on. We saw what we wanted to see, a small eclectic village situated on the most beautiful lake in Mexico. Yes, the streets were bumpy, the houses run down, and there was lots of trash. But that’s Mexico, no? The people were warm and welcoming. 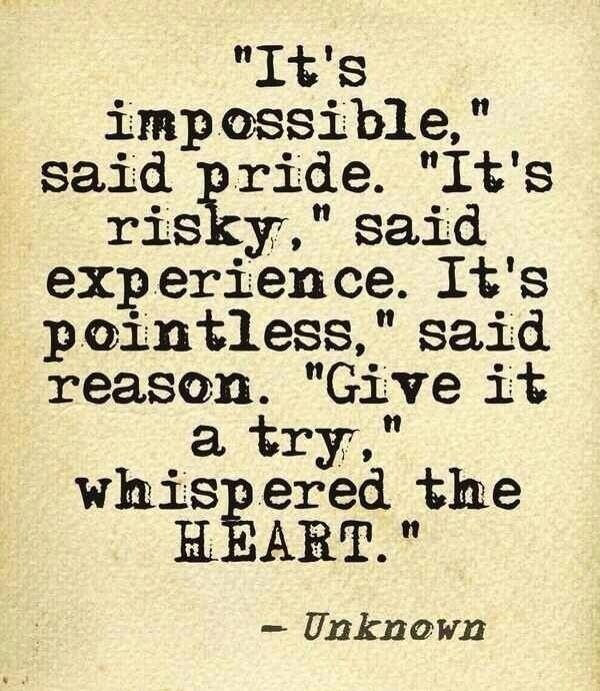 We fell in love from the get-go and decided that we could be happy living here. As we round the corner on our one-year anniversary as full time Bacalareñas, we’ve noticed many changes in our little town. The streets are cleaner. Roads are being repaired and beautification is everywhere. The number one improvement for me is that there is now a place to recycle plastic. We see people picking up discarded bottles from the roadway. It will take time for recycling to catch on, but I have hopes. 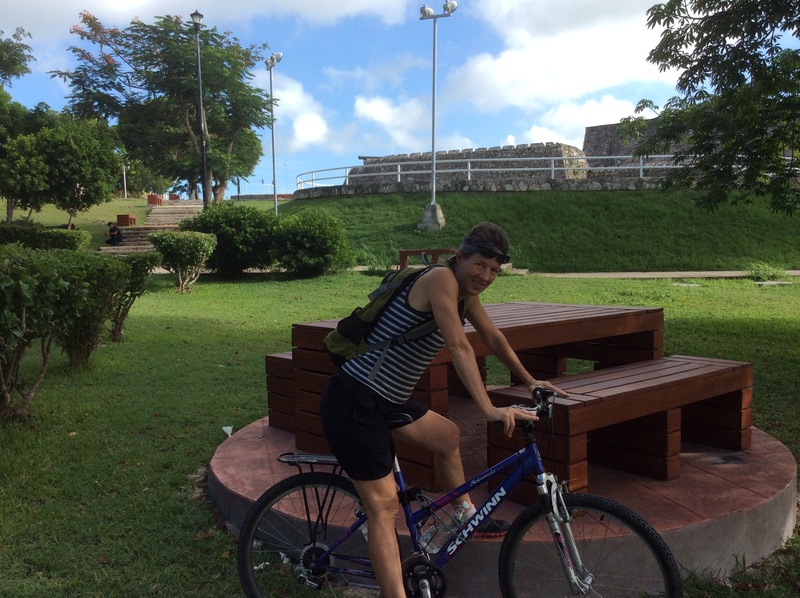 Lisa is appreciating the new tables and benches recently constructed near Fort San Felipe in the center of town. They are perfect for an afternoon picnic in the shade while enjoying lake breezes. 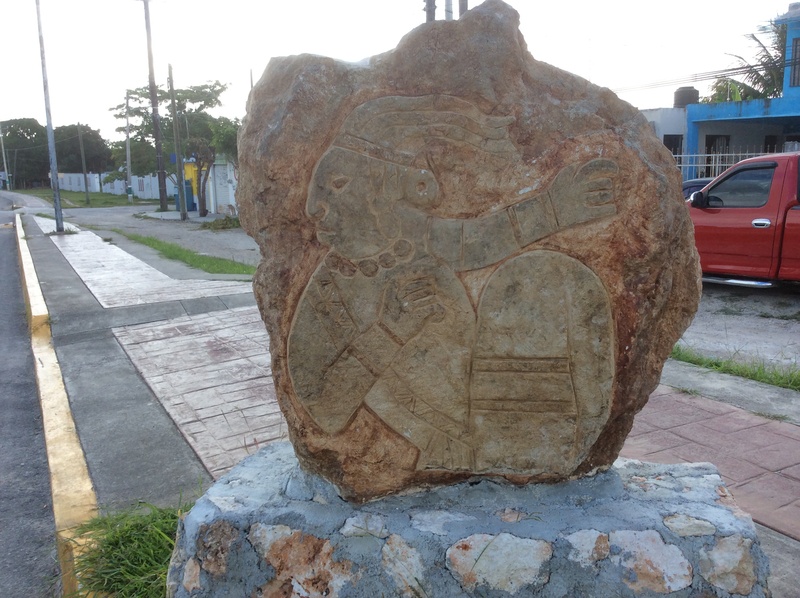 These wonderful Mayan carvings have been erected at every intersection for a half mile along the southern road into Bacalar. They are lit at night and each one is unique and beautiful. 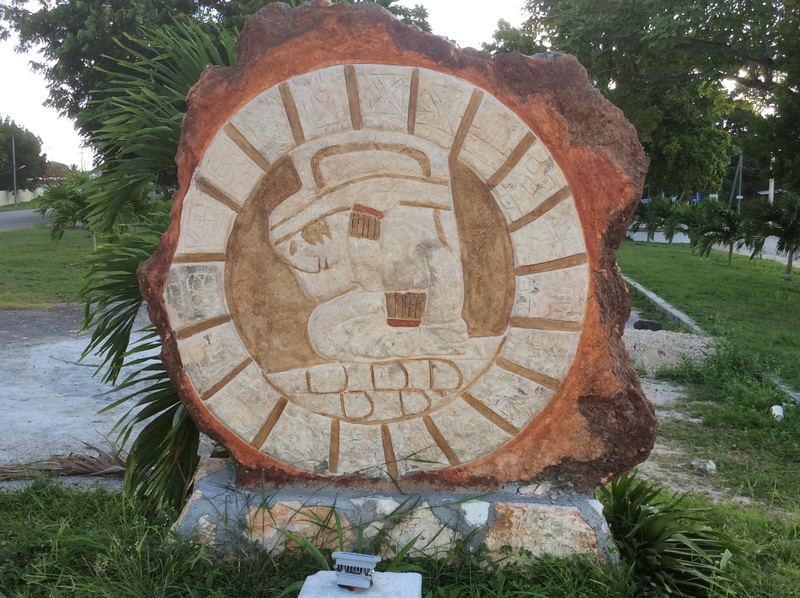 The stelae pay homage to a rich heritage for visitors and locals alike. 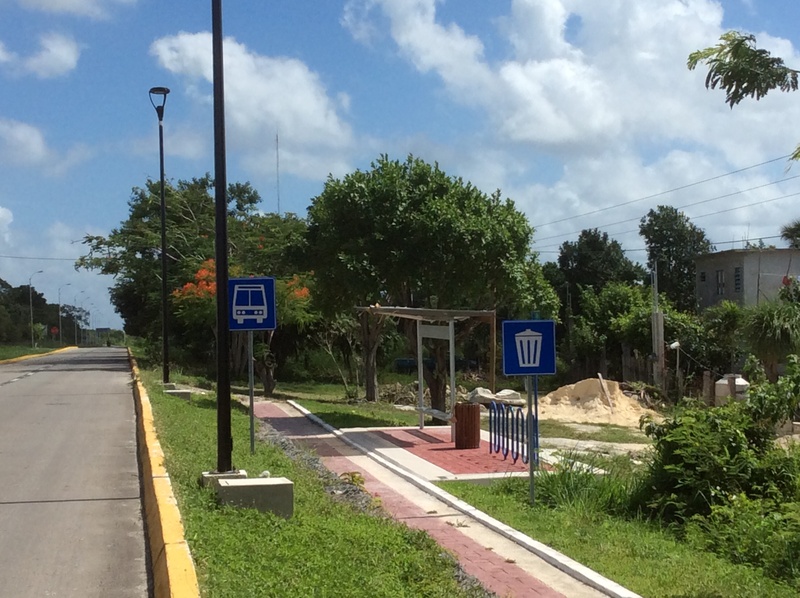 The road leading out of Bacaler to the north has new street lights, a pedestrian walkway, freshly painted curbs and a modern bus stop. We often see people sitting on the benches watching the world go by. Hats off to the new presidente of our municipality, Don Chepe. 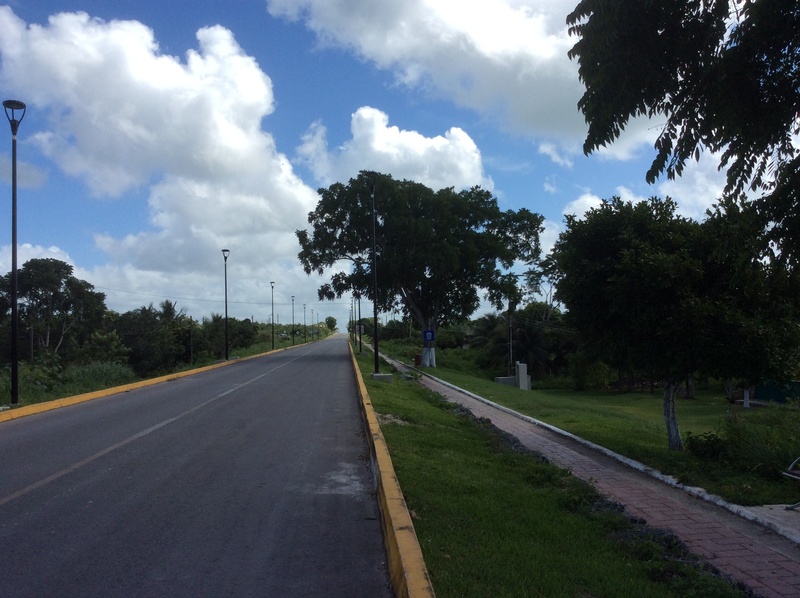 His heart, vision and hard work have improved the beauty and quality of life for the people of Bacalar. How often can we say that for an elected public official? Bravo. Impressive, a tip of the hat to Don Chepe! BTW: Great post, Alex. Thanks Bruce. There are sidewalks going in and the mercado is being enlarged. Everywhere we go there is a new restaurant opening, signs for help wanted, and a fiesta going on. This is a happening place. Lovely post as always…can’t wait to be there this fall. The summer has been cool and the rain sparse. I see so many improvements. I was asked a while ago if I was still happy about our choice to move here. My response, I don’t want to be any where else. I can sail, ski, hike, explore, play and meet new people all the time. I am very proud and happy to be here at this beautiful laguna. That’s a wonderful thing to hear., ladies. Changing peoples attitudes toward Mexico, one blog at a time. Your little town is lovely! This country is badly maligned. Come for a visit.